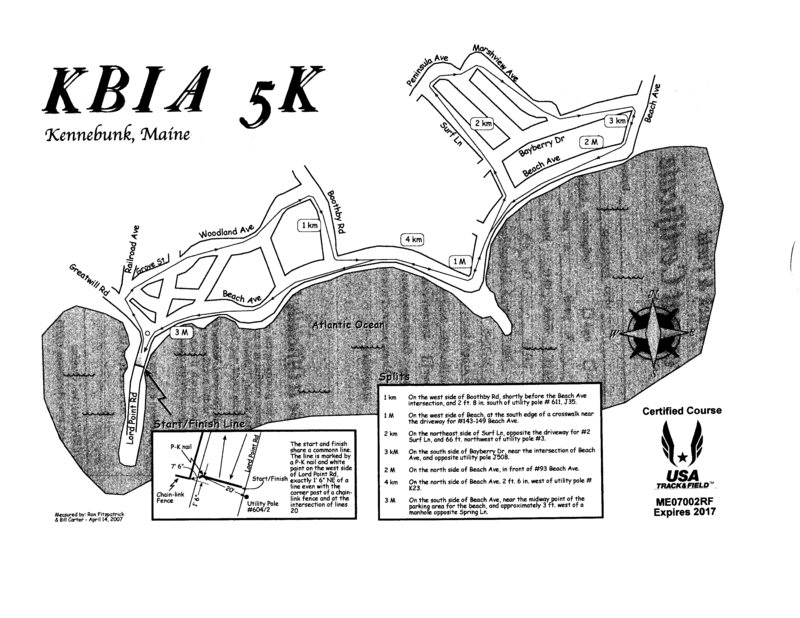 Come run with us on a USATF certified course that begins and ends at beautiful Kennebunk Beach. The course winds through a shaded, beachside neighborhood and finishes alongside the Atlantic. Post-race snacks and beverages are provided. Awards ceremony for the top finisher in each category immediately following the race. Free t-shirts will be given to the first 150 registered participants . The proceeds from this race will be going to both the KBIA scholarship fund and Kids Free to Grow, a local non-profit benefiting children.